Robison-Anton "Super Stitch" Cotton Quilting Thread is one of the newest additions to our product line. 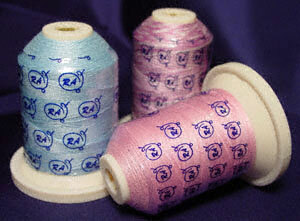 Just as Robison-Anton's embroidery threads are the "top of the line" in quality, so are these Cotton Quilting Threads! And of course, shipping is FREE*! Suitable for both machine and hand quilting, Robinson Anton mercerized, 100% Egyptian cotton quilting thread in standard 50-weight. For best results, we recommend using Schmetz Quilting Needles.